Finding the intersection between aerial information delivery and airspace safety is pivotal in unlocking the full potential of the commercial drone industry. In developing our end-to-end aerial information platform, we found a critical focus on creating and supporting airspace safety initiatives that will blaze the trail towards drone integration, both hobbyist and commercial, in the national airspace. This week, our team is trekking the globe to present on recent partnerships, technological advancements and regulatory strides that are all aimed at getting us to the next frontier of unmanned aerial intelligence. 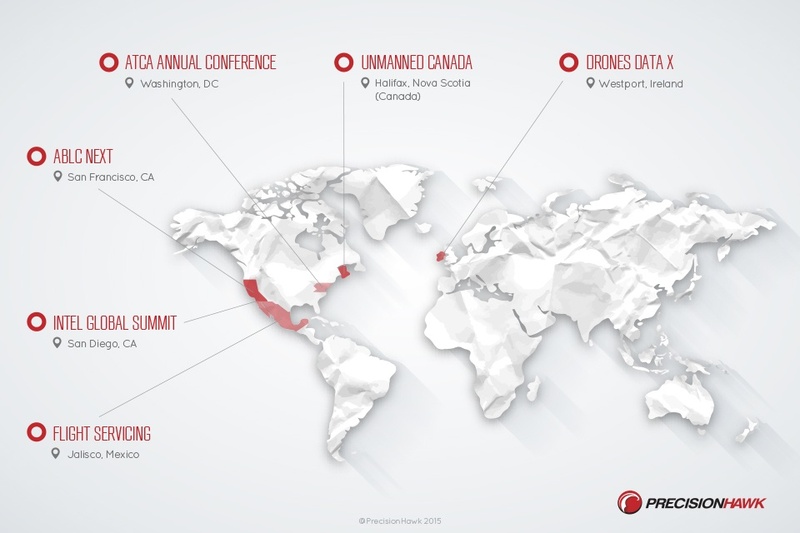 To schedule a meeting at any of this week’s conferences, send a note directly to our communications team at l.reich@precisionhawk.com or via Twitter @precisionhawk.